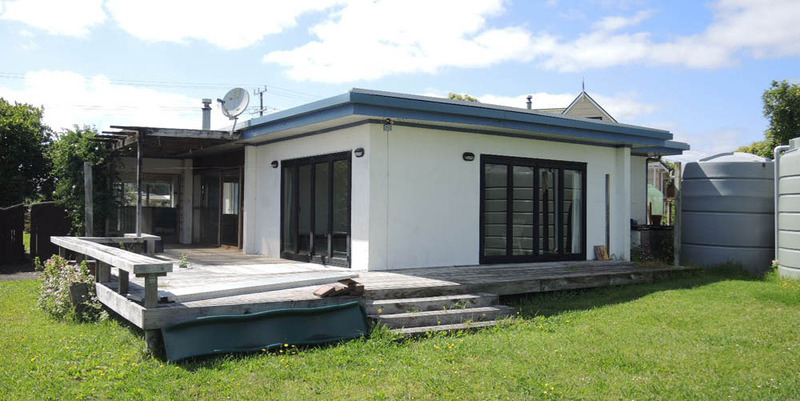 The existing 1970s single level house is primarily constructed in masonry block, with timber-framed panels at the sections of wall that have exterior joinery. The project involves rebuilding and extending the rear (western) portion of the house with a new passive-solar designed, energy-efficient main living space wing. 140mm wide exterior wall framing will allow for high levels of thermal insulation to this new area. The new mono-pitch roof on this wing will be fitted with 200mm R5 insulation. Additionally, all other existing ceiling linings will be replaced, and these ceilings will be fully insulated during this process. All existing aluminium joinery is to be replaced, with new single glazed windows to the garage and thermally broken ﻿double glazed﻿ joinery to all living space rooms. With an increase of only 19m², this project is more about alterations than additions. The interior layout will be changed considerably to improve flow, distribution of available space, and access to the extensive north- and west-facing outdoor area. The existing two narrow garage doors will be replaced with a single wide door and the porch will also be redesigned to more closely reflect the style of the house. The clients can take credit for the much improved room layout as this was already set out in the brief before detailed concept drawings were commenced. The current deck and pergola will be replaced with a layout similar to the existing configuration. An additional pergola over the extended deck to the west will support deciduous planting to provide seasonal shade from late-afternoon summer sun. Proposed house viewed from the northwest. Existing house viewed from the northwest. 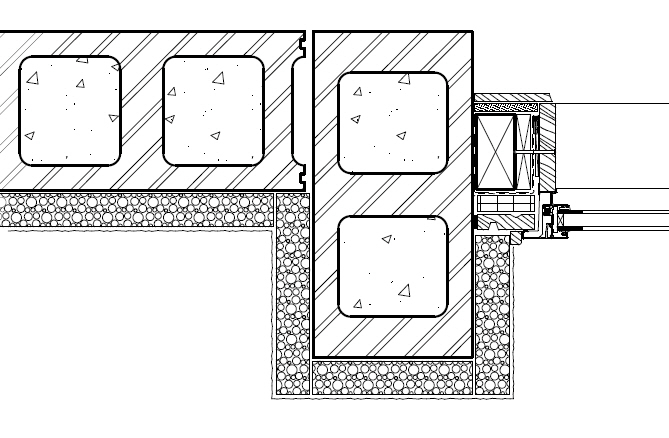 Floor plans: existing and proposed - the main living area will be moved to the rear of the house. 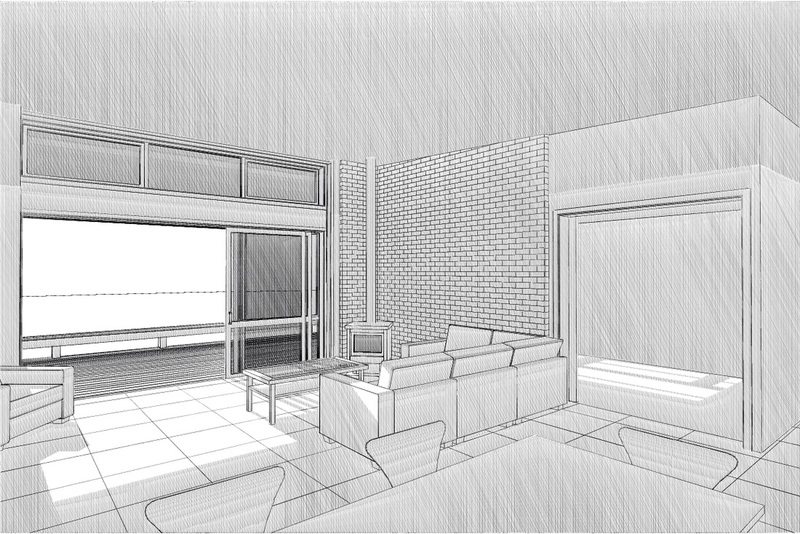 Entry porch: existing and proposed. View from dining area showing mid-winter sun on the tiled concrete floor for passive solar thermal storage. New windows will be slightly narrower than the existing units that they replace (no longer extending right up to the masonry jamb) to allow for future addition of external plastered polystyrene insulation, as shown in the detail below. This will significantly improve the thermal performance of the house.